Cozy detached house in prime location (Hallwang/Berg). The house is situated in a quiet residential settlement in Hallwang, Berg district. The S-Bahn station Kasern is a 10-minute walk, from there you get to a station and a travel time of about 4 minutes to the main station Salzburg. By car you need about 10 minutes to the city center of Salzburg. The surrounding area is also ideal for long walks and exploring by bicycle. The nearest supermarket is located in about 2.5 km away. Our house has 2 bedrooms (one double bed and max. 1 extra bed possible), bathroom with shower, tub and toilet, 1 x WC, kitchen (fully equipped) and living room with cable TV. Wireless internet is freely available throughout the house. A covered parking space included. The cozy south-facing terrace overlooking the Sanctuary of Maria Plain loads after a long day of sightseeing in Salzburg to stay. Sitting and dining for 6 people. Direct view of the pilgrimage church of Maria Plain. The apartment was very clean, modern, and was stocked with all the essential in the kitchen. Perfect place with ample space for two couples or a family to share. Highly recommend! Thank you for your great recommendation. We stayed in 4 different locations during our 2 week trip to Europe. This was our favorite. Beautiful home. Very pleasant host. Quick train ride to downtown Salzburg. Recommend that you obtain the Salzburg card for your travel. The host was great. The setting amazing and the accomadations were excellent. We would definitely stay here again. The view! The view! The view! It took a 8-10 minute walk uphill from the train station to get to, but oh my; the view was outstanding. The house was much more spacious than the pictures show and it was tastefully decorated throughout. We were welcomed so warmly too! I would highly recommend staying here. The house was spotless, beautifully decorated and had pretty gardens around it. The house was located on a quiet street and was only a short eight minute drive to downtown Salzburg . The hosts were very hospitable and the house was spacious and beautiful. 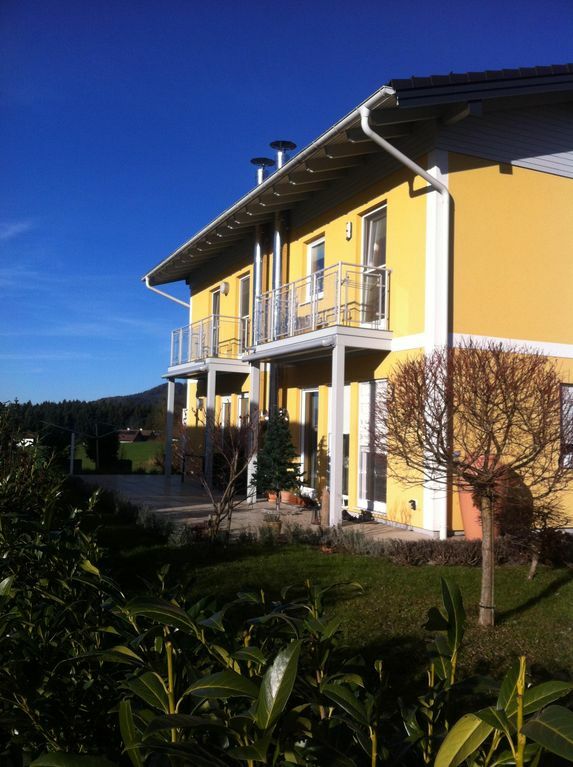 We highly recommend this house to anyone visiting the Salzburg area. Thanks a lot for this recommendation! You are very welcome! Shops including ATM, refer to 2.5 km.